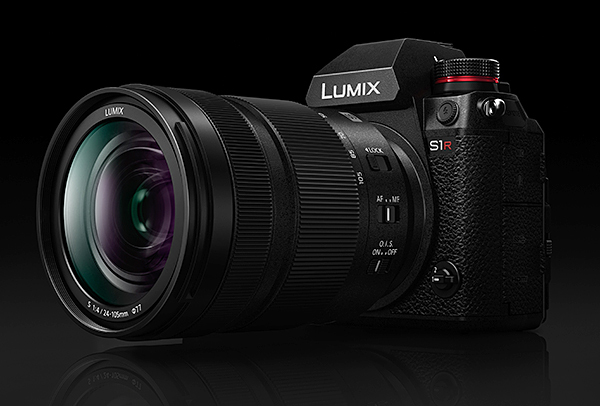 Panasonic has announced April availability of the the Lumix S1R and S1, two new full-frame mirrorless cameras which debut the new L-mount Alliance format in which Panasonic, Leica and Sigma have collaborated. The Lumix S1R, the more powerful of the two cameras with a 47.3 megapixel CMOS sensor, has an RRP of $5299 body only. Panasonic says its has the highest resolution in its class of ‘digital single lens mirrorless cameras’. The S1, with a 24.2 megapixel CMOS sensor, has a body-only local RRP of $3599. Both cameras have Dual Image Stabilisation that combines 5-axis stabilisation with optical stabilisation in selected lenses, to achieve a maximum of 6 stops of stabilisation. The weather-sealed cameras also feature High Resolution Mode, which combines eight consecutive images in-camera using sensor shift technology. This results in a big fat 187-megapixel image for the S1R and 96-megapixel image for the S1. Autofocus of the lens, sensor, and imaging engine is controlled through one system at up to 480 fps, resulting in .08 sec AF. Both cameras are capable of capturing 4K video. High Speed Video mode shoots slow motion 4K at 60/50fps, and Full HD at 180/150fps. The S1 offers a full sensor readout, allowing it to capture video with no time limit, a feature not offered in the more beefy S1R. The S1 and S1R have AR Coating on the sensor, minimising ghosting and flare. – S1R: ISO 25,600, extendable to ISO 51,200. The cameras are also available with a 24-105mm F4 MACRO OIS lens, bringing the S1R RRP up to $6899, and $5199 for the S1.